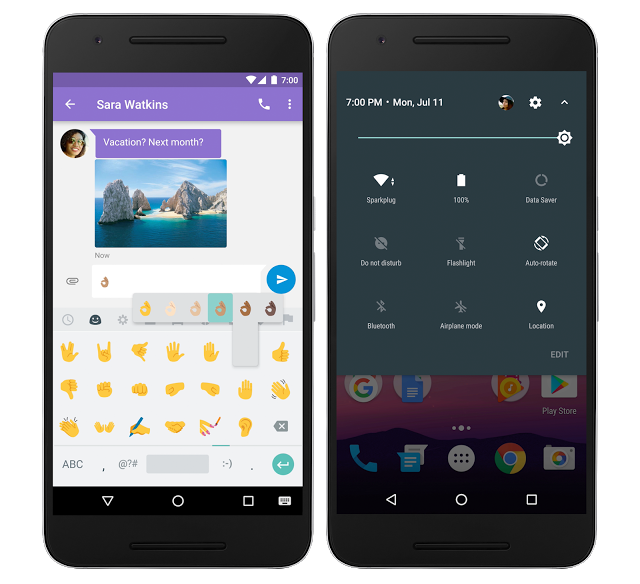 There have been much stir in the air on regards the release of this much anticipated OS, update, The Android 7 Nougat. The Android 7 Nougat which happens to be one of the results of the 2016 Google I/O, is a straight successor to the Android 6.0 Marshmallow. With Lots of Cool stuffs coming along side the Android 7 Nougat like one which we exposed Here, you obviously should be expecting the experience to be wonderful. “Today, we’ll begin rolling out Android 7.0 Nougat to Nexus devices. And with more ways to make Android your own, it’s by far our sweetest release yet. The Android 7 Nougat actually comes with lots of so many packed features, below are just a few that should pique your interest. More Battery Smart Features, which we discussed here. More immersive including support for VulkanTM (an advanced 3D rendering API) and Daydream (Google’s platform for mobile virtual reality). How To Get The Android 7.0 Update. A Notification should get to you when your device becomes eligible for the update. But just in case you have got no chill :D , you can check it manually by going to Settings >About Phone > System updates > Check for updates.